On a family trip to Cooperstown, New York, Lawrence LaRose finds a lot more than a baseball museum. Namely, art, theaters, lakeside action, and a lot of Americana charm. COOPERSTOWN, New York – We dropped into Cooperstown to check out the National Baseball Hall of Fame and were astounded, not by the Hall so much, but by the town. Cooperstown is a wonderfully quaint and happening little town on the edge of an incredibly beautiful body of water, Otsego Lake. But there's so much more. Fenimore Art Museum is home to an impressive collection of American folk and Indian art. Glimmerglass Festival, a summertime extravaganza of world-class opera and musical theater, kicks off on July 7 with Aida. This seaon's highlights include The Music Man, Armide, and Lost in the Stars. All year long, people follow the Cooperstown Beverage Trail and sample local wines and beers, especially if they've jangled their nerves the night before on the Cooperstown Candlelight Ghost Tour (open from April to October). The Baseball Hall of Fame itself draws people from all over, many in minivans with window graffiti declaring "Cooperstown or Bust." Frankly, it was a bust, but maybe that's because I'm a baseball fan, not a fanatic. I saw a lot of jerseys, a slew of bats, and a lot of balls that flew great distances. 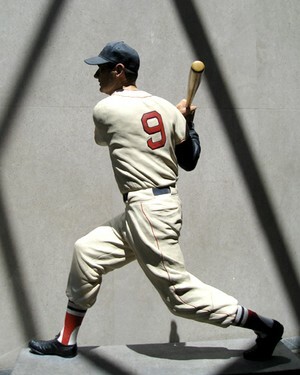 I yearned for more of the stories behind the players and the crazy personalities that give life to the game. Maybe they could get that guy from Flip Flop Fly Ball to freshen up some of the exhibits. A fun time to be sure, but a return trip will be made for all that Cooperstown has to offer, not just the Hall of Fame. 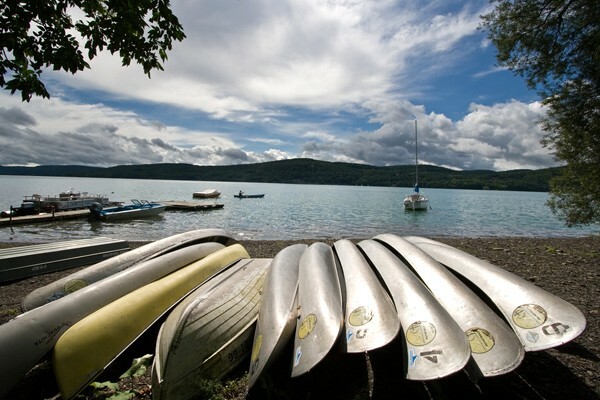 Accommodations are plentiful, from upscale Otesaga Resort Hotel at the south end of Otsego Lake to Glimmerglass State Park for camping enthusiasts on the north end of the lake. 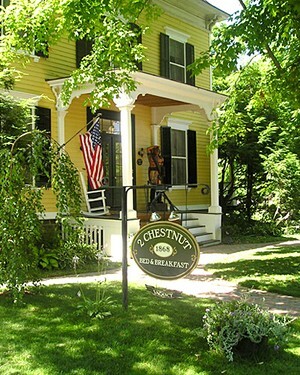 There are many fine B&Bs, like 2 Chestnut Bed and Breakfast, and places you know are quaint because they mess with the spelling and anthropomorphize timber: Whisperin' Pines Chalet. In addition to golf, there are plenty of canoe rentals, fishing opportunities, and a couple of great beaches for swimmers. The Cooperstown Winter Carnival is an extravaganza of cold weather fun, including snow sculpture classes, running races, and an infinity of contests: bowling, basketball, chili making, cheesecake baking, novelty drink creating, a chicken wing chowdown, sledding, cross country skiing, and a medallion hunt with a $500 prize. The best way to get to Cooperstown is by car. It's about four hours from New York City and one generous hour from Albany by car – or in a van packed with screaming baseball enthusiasts. 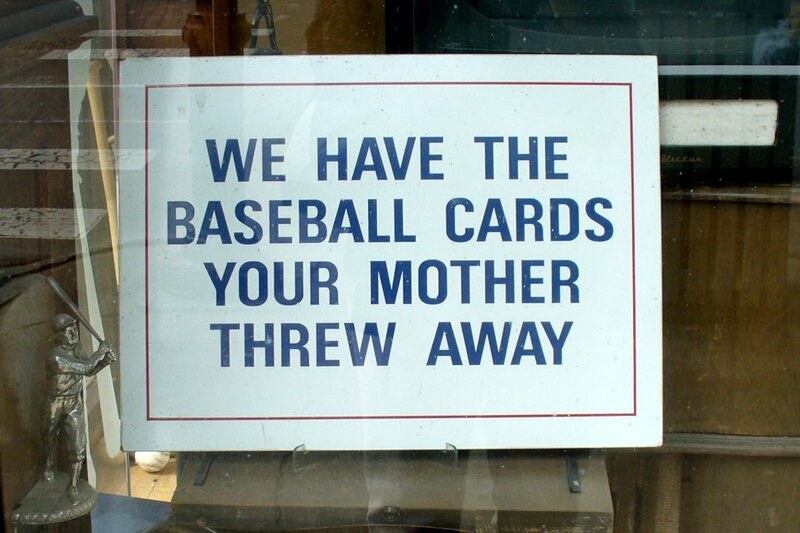 Photos: Courtesy of 2 Chestnut Bed and Breakfast; baseball statue by JessyeAnne / Flickr.